Features classics, rarities, album tracks and previously unreleased gems from Echo And The Bunnymen, Teardrop Explodes, OMD, The La’s, Frankie Goes To Hollywood, Dead Or Alive, China Crisis, A Flock Of Seagulls, Wild Swans, Big In Japan and many more. 5CD + 56pp A5 book format contains many artists’ own sleeve-notes, previously unseen photographs and essays from key observers and participants in the city’s music scene – Bernie Connor, Mike Badger, Yorkie and Joe McKechnie. Curated and designed by the people who brought you Scared To Get Happy, Still In A Dream, Manchester – North Of England, Silhouettes And Statues and many more extensive box sets. A remarkable journey through the music of a generation inspired and enabled by punk rock to step out from behind the shadow to the Fab Four. "This box set gathers together songs from successful bands, almost unknown bands and those who achieved various other levels of recognition or notoriety. This is a wise step to take, because the city’s musical legacy is not limited to the bands who made it onto Top of the Pops or into the album charts. It is in all of the bands who trod the boards, populated the rehearsal rooms, recorded John Peel sessions or made records. 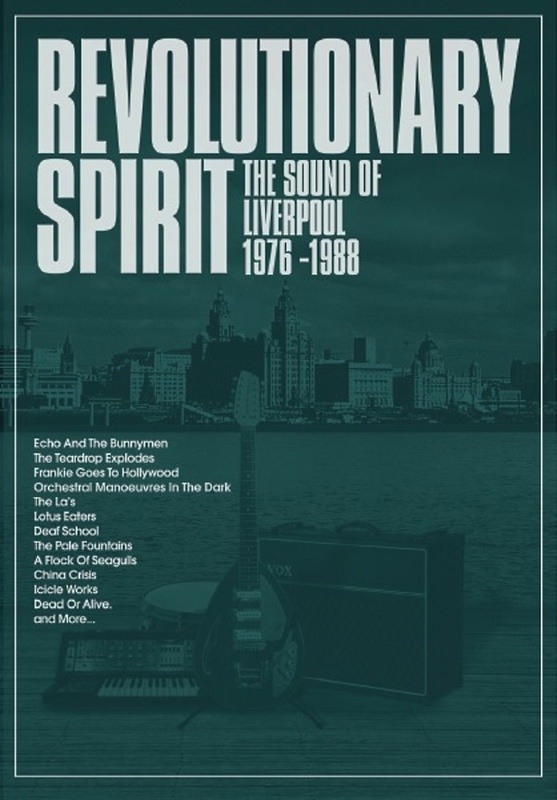 That this five disc set merely scratches the surface of the city’s vast musical history is proof that something extraordinary has taken place in Liverpool. The sheer number of bands and the quality of the music they made is something that this writer believes is unreplicated in any other city. Liverpool was and is a city that punches well above its weight. Listening to the five CDs, which are arranged in a loose chronological order, is to hear a cultural progression. From the pre-punk stylings of Deaf School, through the initial stirrings of a punk movement with Big in Japan and Spitfire Boys, and then onto indie, smooth pop, jazz leanings and literally all points in between. This compilation highlights the fact that Liverpool has always had an impressive broad sweep of talent and vision. And all of it filtered through Liverpool’s own sense of how things should be done."